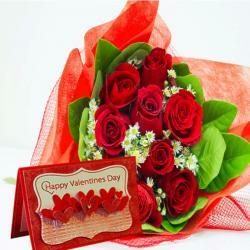 Product Consists : Bouquet of 12 Red Roses along with Valentine Greeting Card. Send your love and care wrapped in this gift through Giftacrossindia.com. 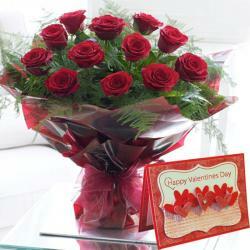 Red roses are popular with gifting from a very long time. They are considered the symbol of love. Red rose portrays true love and admiration. 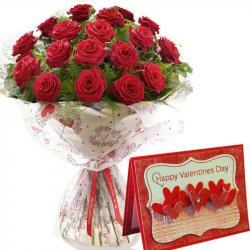 This Roses bouquet and valentine greeting is the best combo ever to gift. 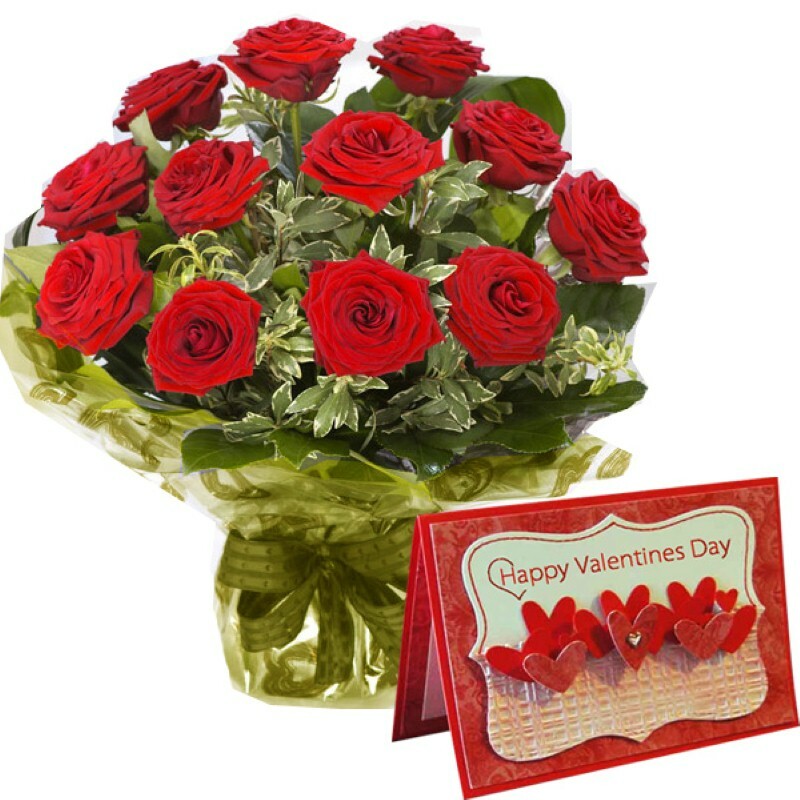 This bouquet of 12 red roses is further adorned with lots of fillers with valentine greeting card. So if you are willing to express your emotions in right word towards someone you adore, this gift item is perfect for you. 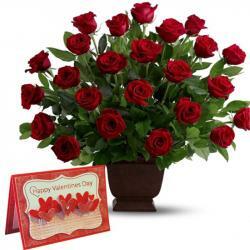 Product Includes : Bouquet of 12 Red Roses along with Valentine Greeting Card.